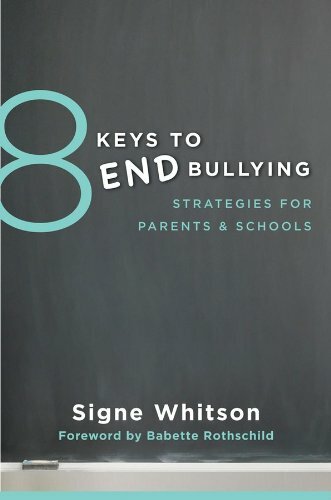 In my book, 8 Keys to End Bullying: Strategies for Parents & Schools and in this article featured online in Psychology Today, I make a distinction between behaviors that are rude, behaviors that are mean, and behaviors that are true examples of bullying. 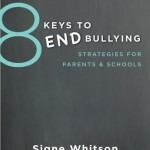 I explain why it is critical that parents and professionals are able to discern the differences between these troubling behaviors and explain the risks of lumping all bad behaviors under the bullying umbrella. I created the activity below for educators, counselors. 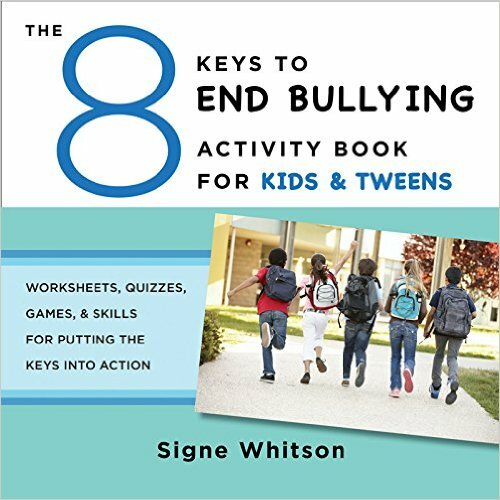 social workers, school psychologists, youth workers and parents to use with kids to help them learn and integrate behavioral definitions of rude, mean, and bullying. Please feel free to use this activity with the young people in your life to teach them about the key distinctions between these three behaviors. (I do ask that you include my name and contact information if you make photocopies of this activity or use it in any type of presentation. ACTIVITY: Is it Rude, Is it Mean, or Is it Bullying? After reviewing the distinctions between rude, mean, and bullying behavior (below), read the following scenarios aloud to kids. Challenge kids to move to a designated section in the room if the behavior represents bullying, to a different section if the behavior demonstrates meanness, and to a third section if the behavior is considered rude. Allow kids time to discuss why they chose to stand in a particular section, encouraging personal examples and reflection, as appropriate. An Answer Key is provided to guide your discussion. Rude = Accidentally saying or doing something hurtful. Rude behaviors are usually thoughtless and ill-mannered, but not meant to actually hurt someone else. Mean = Saying or doing something to hurt a person on purpose, once or maybe twice. The main difference between “rude” and “mean” behavior is that rudeness is usually unplanned. Mean behavior, on the other hand, is done on purpose. I don’t like your short hair. You look like a boy. Saying or doing something unkind after a fight with a friend. Taking something that doesn’t belong to you. Make no mistake; mean behaviors are very hurtful and should be avoided at all times! 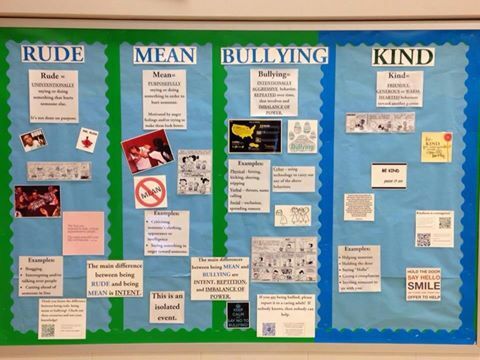 Still, meanness is different from bullying in important ways that we’ll talk about next. Bullying = Cruel behavior, done on purpose and repeated over time, that involves an imbalance of power. Kids who bully say or do something purposefully hurtful to others and they keep doing it again and again, with no sense of guilt or shame. Kids who bully have more power than the kids they pick on. This power may come from being older, stronger, or bigger in size or it may come from getting several kids to gang up on one target, to make that target feel hurt and alone. Kayla tells MacKenzie that she can’t sit with her on the bus today because she is saving the seat for a girl from her Social Studies class. Lucas tells Damien that he can’t play with the Legos because he is the worst builder in the whole first grade. Talia makes plans to go to the school dance with her new friend, Gwen. Katie tells Talia that if she hangs out at the dance with Gwen that everyone will think she is a total weirdo and no one will like her anymore. At lunch that day, Katie convinces everyone that it would be a really funny joke to all laugh out loud when Talia approached the lunch table. Devin and David are friends. In school, they had an argument. Devin called David a name and David shoved him out of his way. Maggie is making fun of the fact that Jessie hangs out with the boys at recess and wears long basketball shorts to school every day. In gym class, Maggie told her to go play on the boys’ team and the day before in homeroom, she wrote the words “You’re so gay” on Jessie’s desk. Brady told JP he would beat him up if he touched his cars, then shoved JP out of his way. During math class, he threw a spitball at JP and kicked his chair out from under him. He threatened to punch JP if JP told the teacher. Emma and Brit play on the same field hockey team and are normally best friends, but have been in an argument for three days. Emma called Brit a mean name after practice and Brit send Emma a mean text. Kayla & MacKenzie: Kayla is being rude, but here is no evidence of intentional meanness, repetitive behavior or a power imbalance. Lucas & Damien: Lucas is being mean. It appears that his words are intended to hurt Damien. There is no evidence of repetitive behavior or a power imbalance, however. Talia & Katie: Katie is acting like a bully. She has creating an unfair balance of power by getting all of the girls at the lunch table to laugh at Talia. She is also using words like “everyone” and “no one” to threaten Talia about how she will be socially excluded if she does not do what Katie wants her to do. Devin & David: Devin and David are engaging in rough play, or rude behavior. This is not bullying because the boys are usually friends, the power balance is relatively equal and the boys are not intending to harm each other. Maggie & Jessie: Maggie is acting like a bully. She is making fun of Jessie repeatedly, with intention to cause harm. Slurs based on sexual orientation are particularly cruel for young people and should be taken seriously by adults wishing to create a positive school culture. Brady & JP: Brady is acting like a bully. He is engaging in repetitive cruel behavior, designed to hurt JP. He is using intimidation and threats to create a power imbalance. Emma & Brit: Emma and Brit are being mean to each other. They are intending to hurt each other with their words and texts. The girls are normally friends, though, and at this point, this appears to be a mutual argument rather than a repetitive pattern of one-sided cruelty. 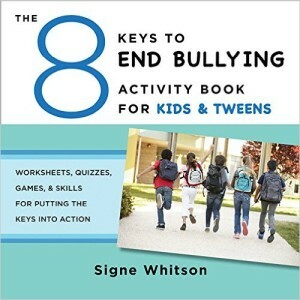 If you know a young person who would benefit from exploring the distinctions between rude, mean, and bullying and/or who would like to learn skills for managing conflict and bullying check out the 8 Keys to End Bullying Activity Book for Kids & Tweens. This book (and Companion Guide, sold separately or as a set) provides dozens of worksheets, quizzes, activities, puzzles, and skill-building games to teach these concepts and much, much more. Check it out here!